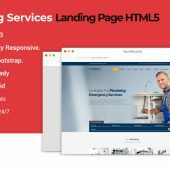 Car Service is a fully & professional responsive and retina ready WordPress Landing Page Theme best suitable for auto mechanic, car repair shop, mechanic workshop, car repair services, auto painting, auto detailing, tire or wheel shop. This WordPress Theme is specially crafted for any small business like car rental, car wash, auto glass or for any handyman, serviceman or skilled worker like panel beater, spray painter, body builder, car dealer, motorcycle mechanic or automotive technician. 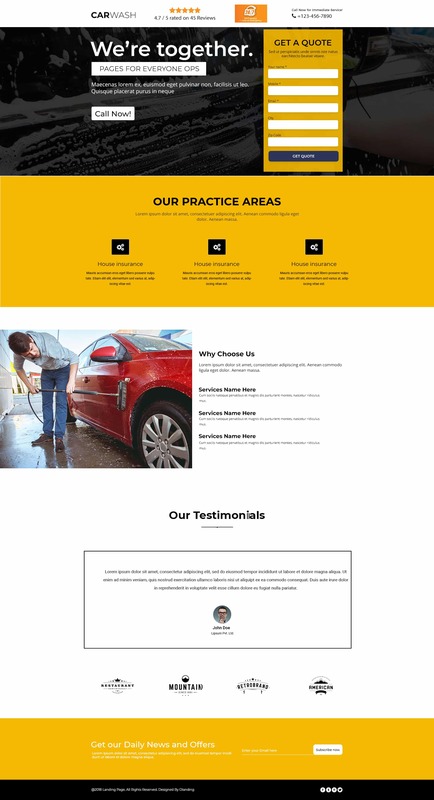 Car Wash WordPress Theme is designed for Workshop, Auto Mechanic, Car Repair Shops, Car Wash, Garages, Automobile Mechanicals, Mechanic Workshops, Auto Painting, Auto Centers and all type of Auto Related Services. It has beautiful and unique design that will be best suited for your web presence. It is 100% responsive and tested on all major handheld devices. Auto Car Repair theme is designed for creating websites of automotive repair shops, stores with spare parts and accessories for car repairs, car washes, service stations, car showrooms painting, major auto centers and other sites related to cars and car services. This template is perfectly appropriate for any type of small businesses related to automobiles garages motels and gas stations, repair of tires and wheels, repairs of brakes and other parts of cars. It has a versatile design oriented for automotive topics. Car Wash theme will always be updated to cover compatibility with the latest version of WordPress and other supporting tools. Improvements from customer requests, bug solutions, new add-dons are updated regularly and you can download and update for free. Car Service and car washing WP theme is 100% Fully Responsive and retina ready. So, it looks awesome on big screens as well as on smart phones and tablets. This car cleaning wordpress landing page theme integrated with world`s best plugin yoast SEO. Yoast SEO does everything in its power to please both visitors and search engine spiders. Valid code and optimized structure is one of the key points for a successful website. 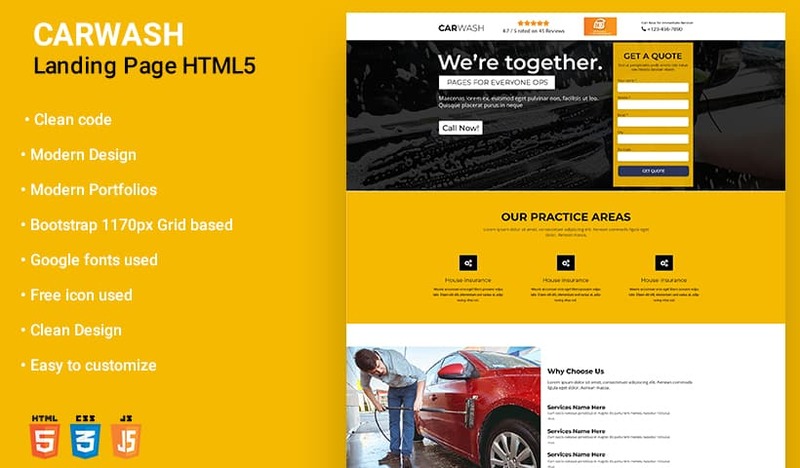 Car Wash WordPress Theme manufactured with best and valid coding of CSS & HTML. A theme that has been built with the latest WordPress technology, it is crafted with great attention to details and incredible features. Thank you very much for great support. We are always happy to assist in different web templates. This Theme loads quickly and looks amazing. We love this theme.